Like many modern PC games, Risk of Rain 2 includes a developer console that players can access in order to adjust several different game settings and parameters. As players might expect, the developer console easy to access, and it's also the only way to enable cheats in the game. 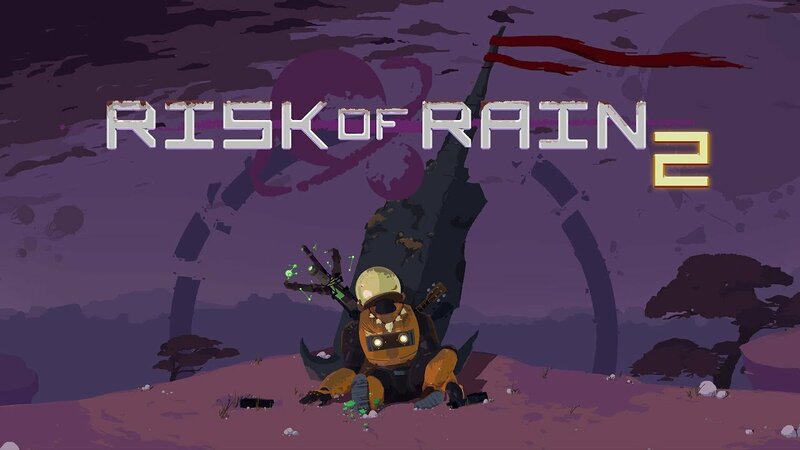 Those looking to make the most out of the latest Hopoo Games release can learn about all of these different options and adjustments by browsing through the complete list of console commands in Risk of Rain 2. Accessing the developer console in Risk of Rain 2 is simple: press the Ctrl, Alt, and ` keys simultaneously. If the final key—the grave accent key—seems hard to find, worry not: it's the key beneath the Escape key, immediately to the left of the number 1 on most common keyboards. By pressing Ctrl + Alt + ` together, players will bring up the developer console. From here they'll be able to access a number of different commands and adjust several different game parameters. It's here that players will need to change the value of the "cheats" parameter to "1" in order to enable cheats in Risk of Rain 2. Do note that setting the cheats value to 1 will disable achievements and stat tracking, and will also lock progression until the game has been restarted. Below you'll find the full list of Risk of Rain 2 console commands. Many of the commands correspond to set values that can be adjusted by the player; in these cases we have provided the default settings for each of these commands. Note that some of the values will be set by the game software itself based on the machine running it, and default values are subject to change pending upcoming Early Access builds. Description: The maximum amount in radians the aim assist will turn towards. Description: The size, as a coefficient, of the aim assist 'white' zone. Description: The maximum amount the sensitivity scales down when passing over an enemy. Description: The minimum size, as a percentage of the GUI, of the aim assist 'red' zone. Description: The slope value for stick dual zone behavior. Description: The threshold for stick dual zone behavior. Description: The exponent for stick input used for aiming. Description: The global sensitivity scale for stick aiming. Description: The smoothing value for stick aiming. Description: The anisotropic filtering mode. Can be Disable, Enable or ForceEnable. Description: Whether or not audio should mute when focus is lost. Description: Bans the user with the specified steam id from the server. Description: Generates portraits for all bodies that are currently using the default. Description: Prints a list of all character bodies in the game. Description: Maximum number of chat messages to store. Description: Enable cheats. Achievements, unlock progression, and stat tracking will be disabled until the application is restarted. Description: Clears the console output. Description: Adds network players for all local players. Debug only. Description: Connect to a server. Description: Connect to a server using Steamworks P2P. Argument is the 64-bit Steam ID of the server to connect to. Description: The corpse disposal mode. Choices are Hard and OutOfSight. Description: The maximum number of corpses allowed. Description: Creates corrupted user profiles. Description: Print all available convars and concommands. Description: Magic for debug visuals. Don't touch. Description: Disables all combat directors. Description: Disconnect from a server or shut down the current server. Description: Lists the network ids of all currently networked game objects. Description: Dumps the map between indices and projectile prefabs. Description: Whether or not to skip the early access splash screen. Description: Echoes the given text to the console. Description: Whether or not damage and healing numbers spawn. Description: Executes a named config from the Config/ folder. Description: Prints all Rewired ControllerMaps of the first player as xml. Description: Prints all default Rewired ControllerMaps. Description: Find all concommands and convars with the specified substring. Description: Maximum FPS. -1 is unlimited. Description: Sets the specified game mode as the one to use in the next run. Description: Gamma boost, from -inf to inf. Description: Show help text for the named convar or concommand. Description: Host a server. First argument is whether or not to listen for incoming connections. Description: Scales the size of HUD elements in-game. Defaults to 100. Description: Kicks the user with the specified steam id from the server. Description: Which language to use. Description: Generates default token definitions to be inserted into a JSON language file. Description: Reloads the current language. Description: Reduction in texture quality. 0 is highest quality textures, 1 is half, 2 is quarter, etc. Description: Maximum number of messages that can be held in the console log. Description: Allows p2p transport information to print to the console. Description: Enables logging of network messages. Description: Toggles game pause state. Description: Prints the current round trip time from this client to the server and back. Description: Whether or not to use the sobel rim light effect. Description: Begins a run out of pregame. Description: Prints a list of all local users. Description: Prints all current stats of the sender. Description: Whether or not foliage has wind. Description: The maximum allowed LOD level. Description: Whether or not soft particles are enabled. Description: Removes all local users. Description: Prints a list of all possible resolutions for the current display. Description: Resolution scale. Currently nonfunctional. Description: Whether or not to allow voting on items in the pregame rules. Description: Dump information about the rules system. Description: Ends the current run. Description: Prints the seed of the current run. Description: Prints all unlockables available in this run. Description: Overrides the first scene to enter in a run. Description: Sends a chat message. Description: Prints a list of all available scene names. Description: Changes to the named scene. Description: Sets the specified vstr to the specified value. Description: The distance in meters to draw shadows. Description: Default shadow resolution. Can be Low, Medium, High or VeryHigh. Description: Whether or not to use the pod when spawning on the first stage. Description: Displays your steam id. Description: Copies the currently active lobby to the clipboard if applicable. Description: Displays the steam id of the current lobby. Description: Invites the player with the specified steam id to the current lobby. Description: Opens the steam overlay to the friend invite dialog. Description: Prints all data about the current steam lobby. Description: Displays a list of lobbies from the last search. Description: Displays the members current lobby. Description: Forces a refresh of the steam lobby player count. Description: Lists the files currently being managed by Steamworks remote storage. Description: Whether or not the server will accept connections from other players. Description: Maximum number of players allowed. Description: Enable/disables Physics 'autosyncing' between moves. Description: Logs in the specified number of guest users, or two by default. Description: The Windows timer resolution. Description: The timescale of the game. Description: The timestep of the game. Description: Fade out and execute a command at the end of the fadeout. Description: Copies the profile named by the first argument to a new profile named by the second argument. This does not save the profile. Description: Unloads the named user profile and deletes it from the disk if it exists. Description: The current user profile. Description: Saves the named profile to disk, if it exists. Description: Displays the full names of all viewables. Description: The master volume of the game audio, from 0 to 100. Description: The music volume, from 0 to 100. Description: The volume of sound effects, from 0 to 100. Description: How many milliseconds to sleep between each frame. -1 for no sleeping between frames. Description: The window mode. Choices are Fullscreen and Window. It's quite easy to access the developer console in Risk of Rain 2, and the game has a large number of different console commands for players to adjust, including the cheats option. To learn more about the latest release from the team at Hopoo Games, be sure to head over to Shacknews' Risk of Rain 2 home page.